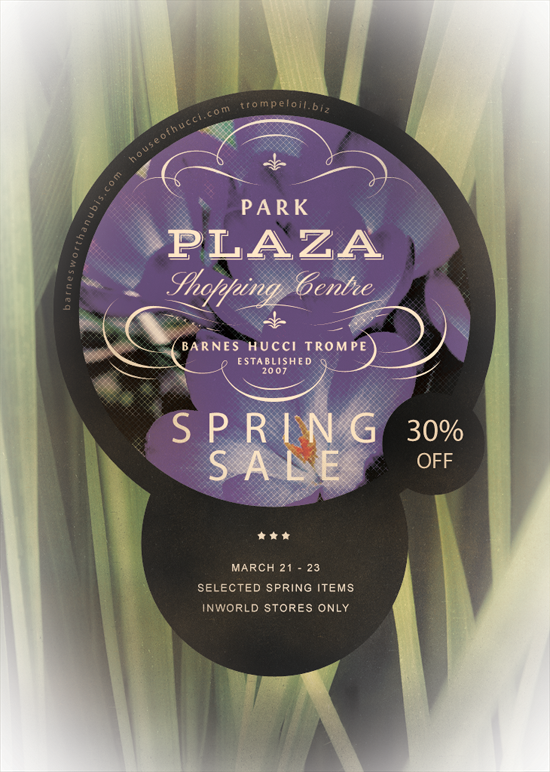 Stop in at Park Plaza this weekend and get great deals on our spring favorites – at Trompe Loeil, Hucci, and [ba] prefabs! 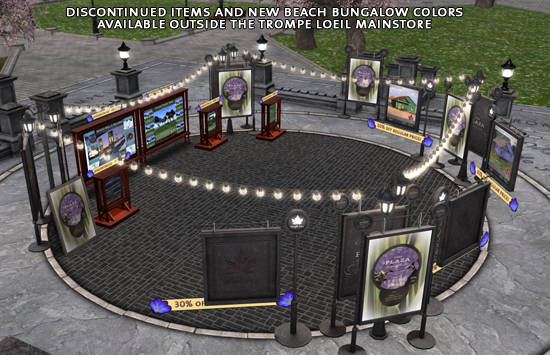 Trompe Loeil has marked selected outdoor and springtime mesh items 30% off regular pricing, and our older sculpted items are being discontinued – so grab them at a crazy 90% discount! 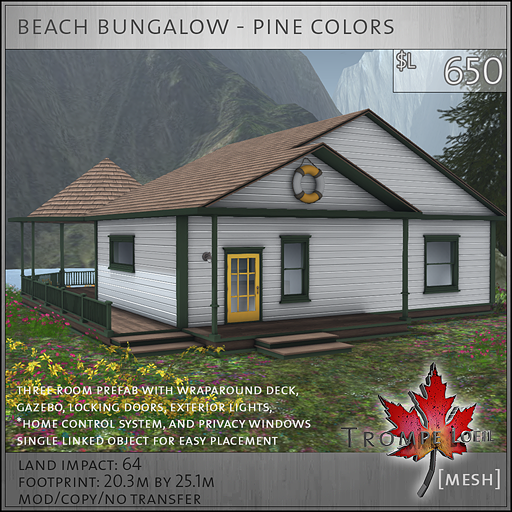 We’ve also got two new recolors of our popular Beach Bungalow on sale 30% off, plus a framed sale poster free gift inside the Mainstore. 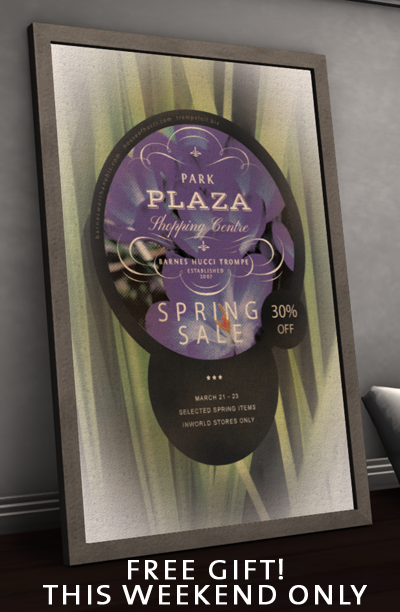 Fly around Hyde Park and look for the sale signs – we’ve marked over 20 individual items and product lines off so you can stock up! 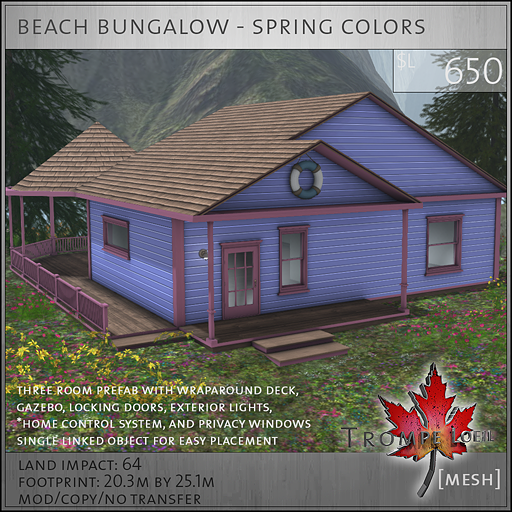 And don’t forget to visit Hucci and [ba] prefabs while you’re here – get fantastic mesh clothing, shoes, and even more landscaping and prefab items at 30% off!